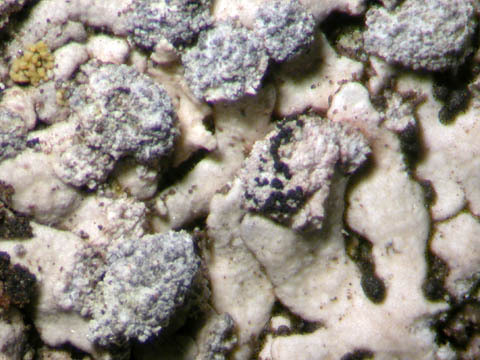 Lichenicolous, on the soralia of Physcia caesia on roadside Acer, and on Physconia perisidiosa. Lit. : L10: 67-68, Vouaux (1912-14: 159).